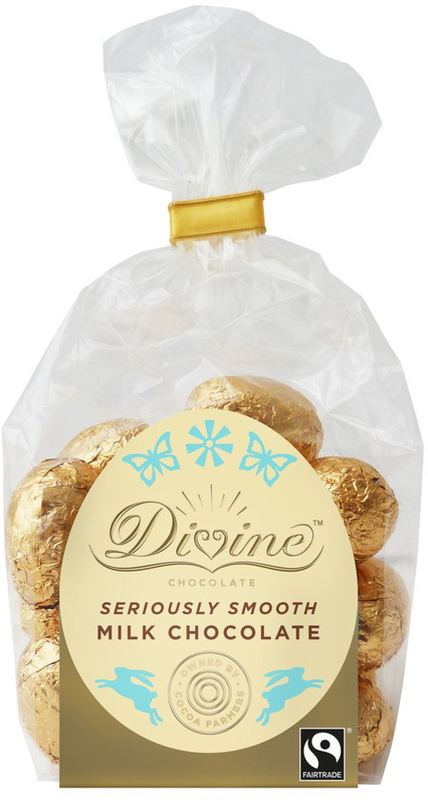 The Divine Milk Chocolate Mini Eggs - 152g product ethics are indicated below. To learn more about these product ethics and to see related products, follow the links below. Very good for everyone from toddlers to grandparents. I'm using the mini eggs for "Father Christmas " gift bags at Castle Cary's Big Christmas fair. 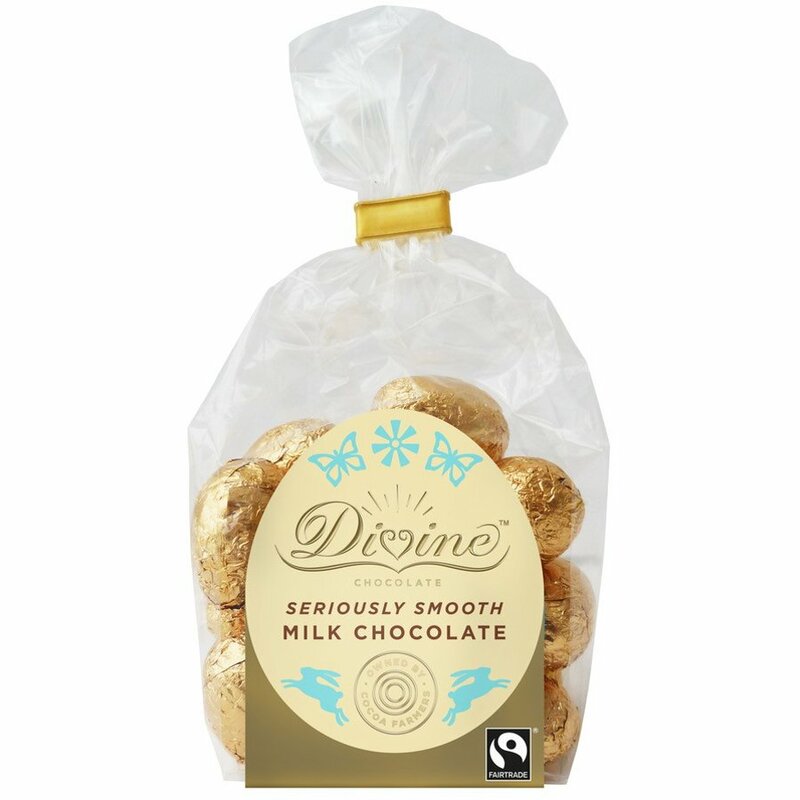 I imagine they're good -relying on Divine's reputation and what I've eaten in the past. We want to give the children good quality sweets. 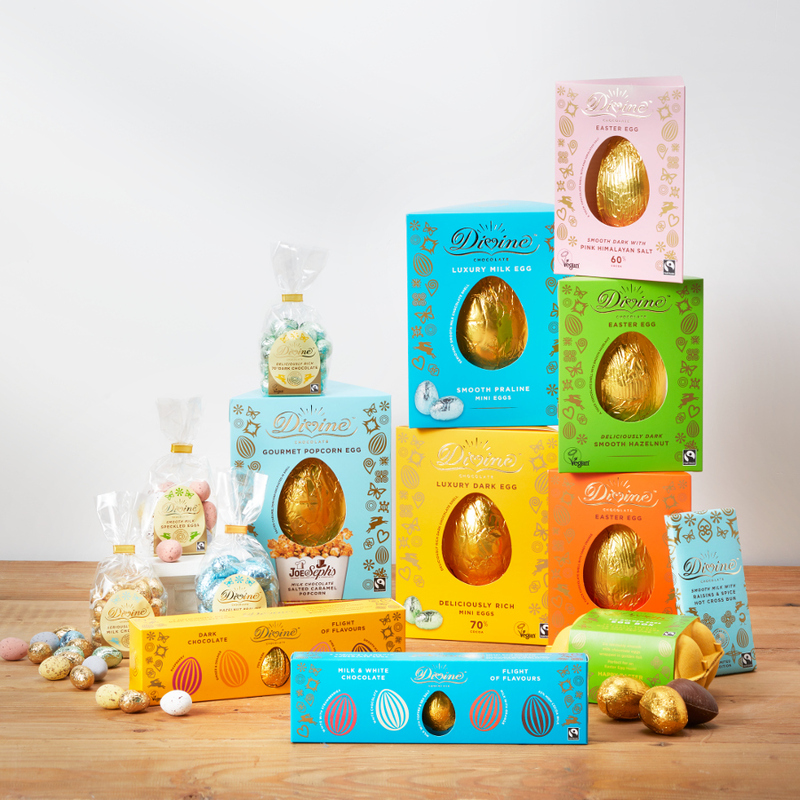 There are currently no questions to display about Divine Milk Chocolate Mini Eggs - 152g.